After a long break, the World Rally Championship resumes with the eleventh round in Catalonia. The C3 WRC crews aim to demonstrate their potential on gravel and tarmac. Kris Meeke/Paul Nagle, Stéphane Lefebvre/Gabin Moreau and Khalid Al Qassimi/Chris Patterson form the Citroën Total Abu Dhabi WRT's driver line-up at this rally. This year the WRC teams had to wait until the end of August before getting a breather. Following rounds in Poland, Finland and Germany, the six-week break was very welcome after a busy summer. The championship returns to action in Catalonia, at a round that is special in more ways than one. Based in Salou, right next to the PortAventura theme park, Rally de España is the only mixed-surface event on the WRC calendar. On Friday the opening leg will be mainly contested on mountainous gravel roads, although the long Terra Alta stage includes sections on tarmac. At the end of day one, the teams will have an hour and 15 minutes in which to convert the cars to tarmac configuration. The longest service of the year is always a bit special, for mechanics and fans alike. The main alterations made during service involve changing the transmission and suspension systems, and reducing the level of chassis protection. The final two legs are then contested on tarmac. The Catalan event is famous for its wide, smooth, circuit-style roads. The aerodynamic efficiency and engine power of the 2017 World Rally Cars should be something to behold on this surface. Since cutting the corners is common here, the drivers will need to keep an eye out to avoid hitting loose rocks and picking up a puncture. As it is held on two surfaces with radically different requirements, Rally de España puts greater emphasis on the versatility of the drivers and their cars. In order to prepare for this round, the Citroën Total Abu Dhabi World Rally Team held three days of tests in Catalonia, only on gravel. Stéphane Lefebvre, Kris Meeke and Sébastien Loeb took turns behind the wheel, managing to come up with a set-up that suited all three of them. 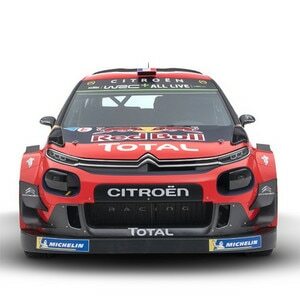 On tarmac the team will be capitalising on the qualities of the Citroën C3 WRC, which were clearly demonstrated at the Tour de Corse and the ADAC Rallye Deutschland. 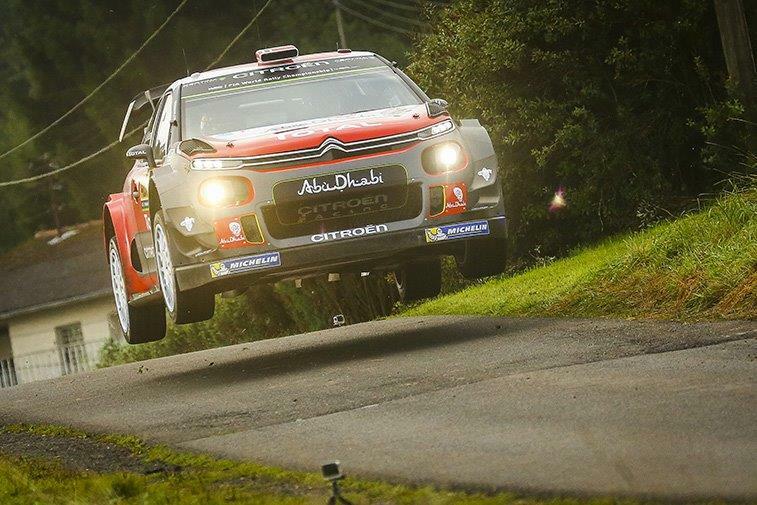 This year will mark Kris Meeke's tenth appearance at RallyRACC Catalunya – Rally de España. To date, the British driver has not enjoyed a great deal of success in Spain. However, he had a more positive rally in 2016, which he ended with the feeling of having found the right pace at this event. As he looks to put his recent disappointments behind him, the winner of this year's Rally Mexico will be aiming to be among the frontrunners. 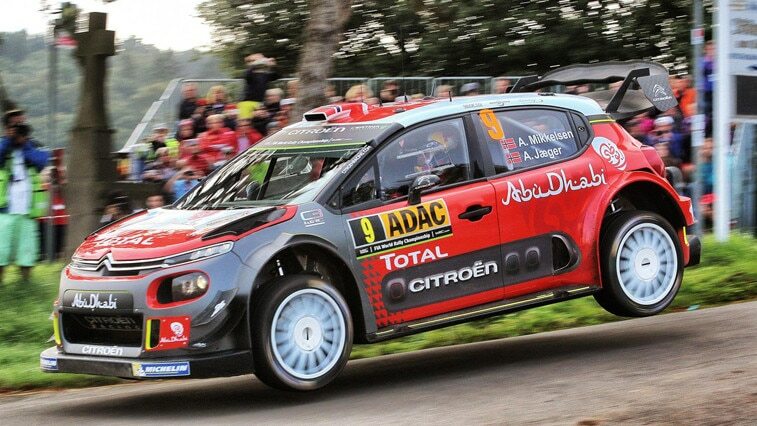 After missing rounds in Finland and Germany, Stéphane Lefebvre returns to the wheel of the C3 WRC in Spain. Unlike his team-mate, the young Frenchman only has very limited experience of the event, but that won't stop him from seizing the challenge. Looking to build on his fine performance at Rally Poland – where he finished fifth overall – he will aim to keep learning among the elite of world rallying. Khalid Al Qassimi will also be celebrating his tenth outing in Spain. After appearances in Portugal and Finland, the Abu Dhabi driver will be pursuing his partial programme at one of his favourite rallies. Yves Matton, Citroën Racing Team Principal: "For the last three rallies of the season, our aim is to get good results, building on the podium secured in Germany. In Spain, the situation is quite specific, with the opening leg on gravel. Depending on what happens with the weather, our crews' positions in the running order may be an advantage or an insurmountable handicap. If we can manage to be well placed by Friday evening, then we'll be able to make full use of the potential of the C3 WRC on tarmac to keep fighting at the front of the field. During the tests we held last week, we tried out a number of set-ups and some of them will be applied next weekend. We are continuing to work hard to meet the challenge of competing with our rivals." Kris Meeke: "We had a good test session and it was interesting to work with Seb [Loeb]. There is always room for improvement, but I think we are moving in the right direction. I'm looking forward to being back in a competitive environment again after a frustrating Rallye Deutschland and this long break. I have to say, though, that I can't quite believe that this is going to be my tenth appearance in Catalonia. Potentially, we have a good starting position, but that'll depend on the level of dust or whether it rains. For the last two legs, we know all about the performance level of the C3 on tarmac. The main thing is that I want to enjoy myself in the car. If I do that, then we can aim for a good result and that'd be good news for the entire team." Stéphane Lefebvre: "I'm very pleased to be back behind the wheel of the Citroën C3 WRC. It has been three months since we finished fifth overall in Poland and I'm going to have to find the right pace on stages that I am relatively unfamiliar with. We have to bear in mind that I am undoubtedly the least experienced driver in the field at this event. I'm pleased with how testing went last week. I had the opportunity to try the new front-to-rear wheel torque distribution for the first time. This upgrade matches my driving style really well and it was therefore a very positive experience. If the conditions are favourable, we'll try to make the most of our position in the running order on day one." Khalid Al Qassimi "This will be my tenth appearance in Spain. This round is one of my favourites on the WRC calendar. I love the challenge provided by the mixed surface route, and especially the fact that switching from gravel to tarmac during a stage encourages you to drive quickly. I really like the atmosphere here; the supporters are incredible and the organisation is absolutely fantastic. That's why I like to keep coming back to compete in Catalonia every year. We'll try to find a good pace depending on the stages, pushing whenever I feel comfortable. I wish Kris and Stéphane all the best." Rally Spain starts on Thursday 5th October.